When you’re expanding to the US market, there are many challenges you’ll face. 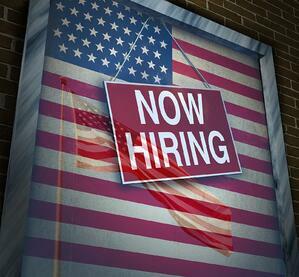 One of the ongoing issues for global companies is employing American workers. From hiring to termination, there are many tasks to be managed, and you’ll need to be familiar with the ins and outs of American employment regulations. One way to make these tasks easier is to work with US payroll service providers or a professional employer organization (PEO). The experts on staff can help you manage payroll, monitor compliance, and more. The question is, how can you be sure you’re hiring the right company? During the decision-making process, you’ll need to compare and contrast different providers. Use these tips, and selecting the right provider will be easier. The first thing you should do is ask about the kind of support you’ll receive with your payroll service. Will you have a dedicated agent or team of people working on your account? Can you contact them? If there’s a significant time zone difference, and how will they manage this? You should also ask about support for different systems and programs they use. Will you be required to use their programs to log information? Support is a key factor in finding the right payroll service provider. When you’re comparing US payroll service providers, it’s easy to get caught up with extras you don’t necessarily need. It can also be tempting to choose a bare-bones plan that doesn’t meet all your needs because it fits your budget. Always keep your needs in mind. If you’re going to need help with more than just US payroll, it might be a good idea to work with a professional employer organization that offers support for human resources, compliance, legal, and more. As a business leader, you need to be forward-thinking, so you should take steps to future-proof your relationship with your payroll provider. You plan to grow your US operations, so ask how the payroll provider will scale with you. Can they keep conduct payroll for 100 or 10,000 employees? If not, it might be time to consider someone else. Payroll is certainly one of the more time-intensive tasks related to the employer-employee relationship in the US. It’s far from the only aspect you need to consider. As you compare US payroll service providers, you should consider whether you need services that go beyond payroll. Would it be helpful to have assistance with HR compliance? What about delivering training and onboarding? You may want to consider PEOs over US payroll providers alone. A PEO can help you manage payroll and so much more, which could be key to your success in the US market. The Affordable Care Act was introduced in 2010. Over the course of several years, the Act’s provisions were phased in, with the aim of offering more affordable health care coverage to more Americans than ever before. Since its introduction, the ACA has been hotly contested. The current Administration is seeking ways to follow through on a campaign promise to repeal this Obama-era piece of legislation. So far, though, attempts have been unsuccessful. This guide looks at the ACA by the numbers, showcasing what it’s done for Americans and their families, and where it’s fallen short. If you’re thinking about expanding into the US, you should know as much as possible about benefits such as health care. The ACA was designed to provide more affordable health care coverage to more Americans. It’s no secret the cost of health care insurance has been rising, and fewer employers now offer it. This left millions of Americans uninsured. According to the Kaiser Family Foundation, 44 million Americans were uninsured in 2013, three years after the Act was introduced. That number fell to under 27 million by the end of 2016 but then climbed again. At the end of 2017, 27.4 million Americans were still uninsured. While there’s still work to do, the end result is more Americans have coverage than ever before. One of the biggest concerns about the ACA has been the cost of the program. Many politicians feel the program costs the government too much, while employers have voiced concern about rising health care insurance costs. Reports found that, in 2017, more than 75 percent of eligible participants had coverage that cost them under $100 a month. This is mostly thanks to subsidies, which help offset the high costs of insurance. For the remaining 23 percent of Americans covered by the ACA, premiums were high. Premiums are tied to risk factors, so older people tended to pay more. Someone in their 60s could find themselves on the hook for more than $10,000 in premiums. Younger people paid less, but they were still paying around $5,000 per year. This is due to the fact that the ACA requires plans to include particular features. The costs of plans are expected to continue increasing, which is why some people say the current system is unsustainable. Since the 2016 election, there’s been talk of repealing the ACA. There have even been attempts to repeal or change the Act. If the ACA were to be repealed, some states would be more severely impacted than others. Massachusetts would suffer the most. Rust Belt states like Michigan and Ohio would also be disproportionately affected, along with some of the coal-producing states like West Virginia. Most people think of the ACA as a law about health insurance, but it actually does much more. The 10 sections of the Act outline a number of different provisions, each designed to improve the health care system in the United States. One good example is the National Prevention Council, which acts as a coordinator for all federal health promotion plans. The idea is that encouraging Americans to live healthier lives will reduce the burden on the health care system in the future. From these facts and figures, it should be clear that the ACA has done good in some ways, but it has also fallen far short in other ways. More Americans have affordable coverage, but some are paying far too much for what seems to be an unsustainable system. The ACA will continue to affect how employers handle health care benefits for their employees in the foreseeable future. As a Canadian business owner, you’re likely thinking about how you’ll expand your business in the future. Maybe you’re planning an expansion into the US in the near future. Maybe that date is a little further off. You might already be making moves to get into the US market. No matter when you plan to expand, you’re going to need a solid understanding of US labor law before you set up shop on the other side of the border. If you’re planning to hire any American employees or contractors, make yourself familiar with the basic of US labor law by using this quick guide. The first thing you should understand about US labor law is that most of it is handed down from the top level of government. 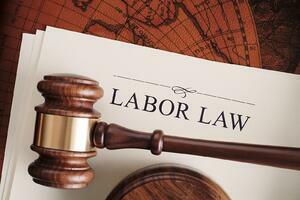 There are federal-level bodies that oversee labor law compliance. This is a stark difference from Canada, where federal labor law covers approximately 10 percent of the workforce. The remaining 90 percent of workers are usually subject to provincial laws, which vary across the country. That’s not to say there aren’t state laws you’ll need to be aware of. In fact, you’ll likely need to be aware of the differences in state requirements on a variety of subjects. One of the most obvious areas of state control is unemployment. Unlike Canada, which has a federally mandated program, each US state is free to define how unemployment works. Premiums are remitted from the employer to the state, rather than to the federal IRS. The same is true of workers’ compensation programs. You’ll need to familiarize yourself with the programs and requirements in each of the states you operate in. Another thing you should know when you hire workers in the US is that it’s important to get worker classification correct. Worker misclassification is a concern at both the federal and state level. This stems from concerns that employers are purposefully misclassifying their employees as contractors in order to avoid federal obligations to them. For example, if you hire an employee, you’ll need to submit payroll remittances, which include tax withholding and Medicare, to the IRS. If someone is a contractor, however, you don’t need to collect and submit these remittances. You might not purposefully misclassify an employee, but it’s easy to do in error as well. Familiarize yourself with the rules the IRS uses to determine whether someone is a contractor or an employee. If someone is an employee and not a contractor, you might wonder what your responsibilities are. You know you’ll be asked to deal with unemployment insurance and workers’ compensation at the state level. At the federal level, you’ll need to complete tax withholding for most employees. You’ll also need to make payments to Medicare and Social Security. 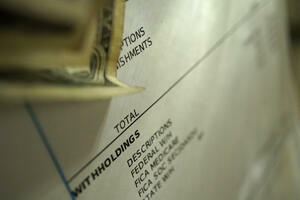 Again, these are deductions you withhold from an employee’s pay. You’ll need to submit these remittances to the IRS on a pre-determined schedule. The US Fair Labor Standards Act doesn’t include any regulation about paying employees for time not worked. This means you don’t have to offer paid vacation or pay for holidays. This is very different from Canada, where law indicates a minimum amount of paid vacation per year and also a number of statutory holidays for workers. Paid holidays, vacations, and even leaves are up to the employer’s discretion. Offering paid holidays and vacation can give you a competitive advantage when it comes to hiring employees. In certain fields, you may need to offer holidays. There’s much more to US labor law than this quick guide can go over, but it’s a great place to start. If you have questions, why not consult with a professional employer organization that operates on both sides of the border? Their insights are invaluable. Whether you’re looking to do business in Canada or just need to hire the right person for the job, you might be considering working with independent contractors in Canada. A Canadian contractor may have the right experience. They can also help you navigate the Canadian market and conduct business in Canada without needing to set up a permanent establishment. Before you hire an independent contractor, however, there are some things you should know. These five tips will help you ensure your working relationship with any independent contractor in Canada is as smooth as possible. This may sound obvious, but employee misclassification is a problem for many employers inside Canada and outside as well. Employers believe they’re hiring an independent contractor, but the letter of the law states they’ve actually hired an employee. Generally speaking, employees have different rights than contractors, which can cause problems if you classify someone as a contractor, but the law classifies the same person as an employee. What’s the difference? Independent contractors usually have more say about the scope of the work and how it’s completed. They may be able to decide what materials are used, for example. They may also work offsite and they supply their own equipment. They may also subcontract the work. When you hire an employee in Canada, your business will be able to add provisions about intellectual property, non-competition, and more into the contract language. When you hire an independent contractor, you may find you can’t add these protections or you may need to water them down. Always be sure to check the legal framework in the province you’re operating in. Independent contractors work for themselves. In this scenario, your business is a client, not an employer. This benefits you, as you don’t have employer responsibilities towards the contractor. It does also mean you’ll need to take a step back when it comes to dictating what the contractor does or doesn’t do. They’ll set their schedule, and they’ll often work on their own site, with their own equipment. They may even decide to do business for other clients, including your competitors. So long as the work is being completed on time and to standard, you don’t have much control. When you hire an employee, you may need to pay benefits, commissions, bonuses, or any number of other types of compensation. As the employer, you determine these payments. You are also obligated to take payroll deductions and fund vacation for employees. When you work with independent contractors, you’ll pay for the services or products you receive. There are “extras” you’ll need to pay. Working with independent contractors can thus reduce your overhead and save you a little bit of money. If you’re not satisfied with the service a contractor has provided, it’s easy to end the relationship. You’ll need to pay the bill, and then you’re free of the contractor. You’re under no obligation to hire them again. You don’t even need to contact them again. If the work was truly unsatisfactory, you might even decide to negotiate a discount on the bill. The only way you’ll face a lawsuit is if you fail to pay. This is completely different from the employee relationship, where you may need to pay severance or negotiate a wrongful dismissal suit. 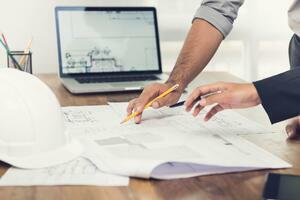 Not sure if hiring a contractor is the right move for you? Talk to a professional employer organization. They can help you navigate the ins and outs of Canadian employment law and help you decide if you need independent contractors, employees, or a mix of both. Why Employ Americans with a PEO? Entering a new market is an exciting time for a business. Whether this is your first international market or one of several you’ve entered, you’re likely excited about the growth opportunity being presented to you. You may also be concerned about how exactly you’re going to pay your employees in the American market. Whether you’ve opened up a branch office and need to staff several positions or you’ve opened up several remote roles to Americans, you’re going to need to pay them. There are several solutions you can try. One option might be to cut a check, which is old-fashioned, slow, and costly. Direct deposit can be another option, although you’ll have to factor in exchange rates and fees. Going through payment services like PayPal can be quite costly. On top of all of this, you’ll still need to worry about payroll taxes and remittances. Another option you have is teaming up with a professional employer organization. This third-party provider takes all of the stress and worry out of paying your American employees. A professional employer organization acts as the employer of your American employees. They pay your employees on your behalf, using the resources they have at their disposal. It’s exactly like if you were paying the employees yourself via payroll, except the PEO is the one issuing payment. Another good reason to employ Americans via the services of a PEO is that the professional employer organization will take care of payroll taxes and remittances. The IRS has strict rules about how payroll deductions are to be calculated, and their deadlines for remitting those deductions are unforgiving. The penalties are steep too. By working with a PEO, you can ensure you’re in the clear when it comes to calculating your payroll taxes and remitting them. In the United States, each state also has its own rules for payroll taxes and remittances. The expertise of a professional employer organization is invaluable, especially if you’re going to be employing people in several states. American employment law is quite different from Canadian employment law, or from employment law in the UK or Australia. It’s one of the best reasons you should enlist the help of a qualified professional employer organization. Your American employees will be governed by the federal and state laws pertaining to their employment. If you don’t know the rules, you might run into trouble.Worker classification is a great example. What you consider a contractor or vendor may be defined differently in the state where you’re employing Americans. The PEO can help you navigate these choppy legal waters and help ensure your compliance. 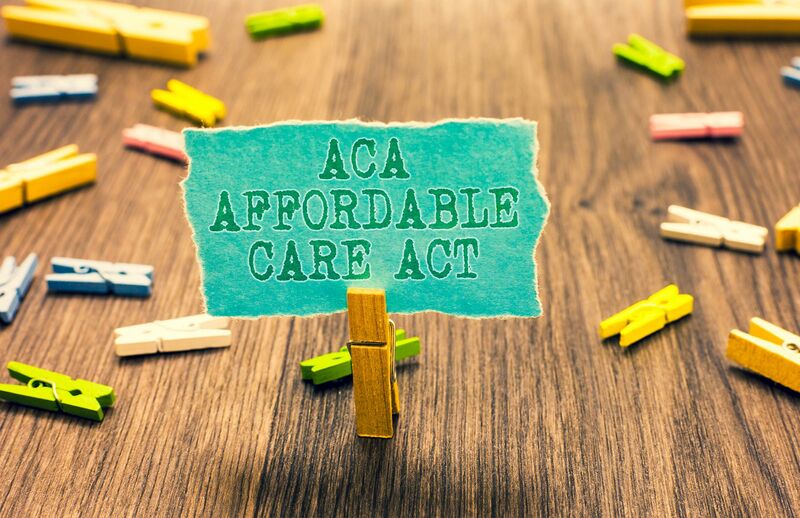 You might have heard about the Affordable Care Act in the United States, which compels employers to offer health insurance to their employees. You may also want to offer other benefits to your employees. You’ll also need insurance to operate your business. Different states have different requirements and minimum insurance levels. Setting up benefits or getting an insurance policy can be tricky. Instead, team up with a PEO for your American operations and make the process smoother. As you can see, there are many reasons you should partner with a PEO to pay your American employees. If you have some American employees to pay, why not talk to a professional employer organization today? Human resources is an important part of your business. 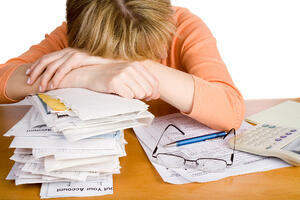 Unfortunately, many HR tasks, such as employing and paying employees, can be quite time intensive. 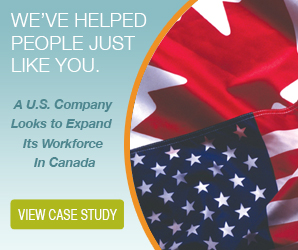 They can become even more complex when you expand your business into another country, such as Canada or the US. If you’re looking for ways to make things easier, you might be wondering about working with a professional employer organization (PEO). PEOs are designed to take on a number of the HR tasks you need to complete to keep your business running smoothly in a new country. Many business owners worry that working with a PEO isn’t the right option. There are many reasons for this, including some of the common myths about PEOs. Most of these myths have no basis in truth. Working with a professional employer organization might, in fact, be a great choice for your business. One of the most prevalent myths about PEOs is that you can only partner with one if you’re running a large business. This idea stops many small and mid-sized business owners from partnering with a professional employer organization, even if it would benefit them. Where did this myth come from? Most small business owners believe they must have a certain number of employees to need any sort of human resources help. They might also believe their situation is so simple that they don’t need help and they can manage it on their own. This can lead to costly mistakes and inefficient processes. If you’re unsure or feeling overwhelmed about employing workers in Canada or the US, don’t forget you can ask for help, no matter how large or small your organization is. PEOs and staffing firms have some similarities, so it’s easy to see how people could get mixed up on this point. That said, a professional employer organization and a staffing firm are not equal. PEOs provide much more comprehensive support to their clients. PEOs don’t supply labour but they do manage the responsibilities of employing a permanent workforce. Another common misconception about working with PEOs is that you’ll be giving up your control. You won’t have any say in how other HR policies are adopted and enacted in your business. Your business is still your business, even when you start working with a PEO. The professional employer organization is a partner in helping you run your business in the most effective, efficient way. To that end, they’re going to work closely with you to make sure your policies and practices are enacted, that you stay compliant with the law, and more. This is probably the #1 myth about PEOs. Many business owners believe working with a PEO is unaffordable. They may think it’s more economical to keep their HR functions in-house, even when things aren’t getting done or the HR team is overwhelmed by foreign compliance. In many cases, a professional employer organization is more affordable than you might think. New technology is helping PEOs deliver better, more streamlined services to their clients for lower costs. Another reason people avoid working with professional employer organizations is that they believe their HR team is more than capable of handling the demands of these tasks in another country. While your HR team is no doubt talented and capable, think about the additional demands you’re placing on them by asking them to look after international employees as well. They may have more than enough to do when administering HR for your own office, and they may not have the knowledge and expertise required to manage foreign compliance. There are many different myths about PEOs, but most of them can be thoroughly debunked. If you’ve been hesitating about working with a professional employer organization for any of these reasons, you can ignore them and embark on a great partnership today. The world is more interconnected and global than ever before, and businesses have been at the forefront of some of this globalization. It’s easier than ever to expand your business internationally and begin operating globally. Sometimes, all it takes is one person offering services or acting as a distributor in another country or territory. What are the benefits of going global? As many business owners already know, there are many advantages to expanding globally. The big one is reaching new markets and growing the business. You may also be able to realize better and more integrated logistics and supply chain operations. There might be financial or tax incentives to going global as well. How do you know it’s the right time to take your business global? You can count on these five signs to show you when global expansion is a good idea. This is probably the best sign that it’s time to go global. Every time you open up your email, you have new inquiries from the same countries or regions of the world. People are looking for your products and services. If this hasn’t happened to you yet, don’t worry. You might still be ready to go global, even if people aren’t looking for your business. If you are getting inquiries, however, let them be your guide about where to open up your first branch offices. Before you begin moving out of your home country, you’ll want to be sure you’ve taken care of business there. Are you consistently hitting your targets? Is the business growing? Are your customers happy? If you can answer “yes” to all of these questions, it might be time to take your business to the international stage. A strong reputation in your home territory provides a better foundation to build a global empire. Another sign you might be ready to go global is that you’ve outgrown your home market. You’re still growing, but incrementally now. The leaps and bounds of yesteryear are gone. It’s time to look to new markets and new customers. You don’t need to have tapped out the market in your home country before you begin expanding globally, but if you have, then it’s time to consider creating operations abroad. Another way to tell your business is ready to go global is that you have a solid vision and philosophy for the business. A business with a vision, philosophy, and goals laid out clearly also has a clear path forward. In turn, you’ll be able to manage a global expansion much more easily. A strong vision and philosophy will inform your operations no matter where you are around the world. As you prepare to go global, you’ll want to know that you have the right people on your side. Can your team help you expand globally? You’ll also want to hire in any new location you expand to. 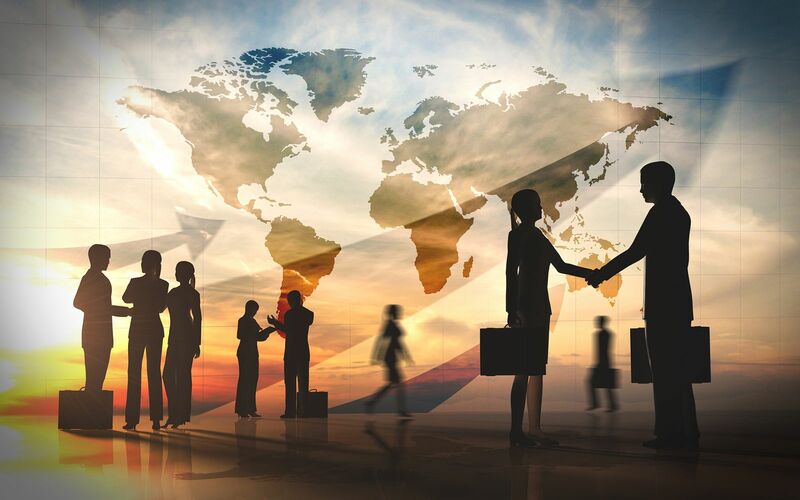 Working with the right partners can also help you ensure you’re hiring the right people when you move to an international market. Team up with a local professional employer organization to hire the right people on the ground when you expand globally. If you notice any or all of these signs, a global expansion might be right for you. Begin putting the wheels in motion and learn more about the next steps to taking your business global. What Is an Employer of Record Responsible For? If you’re expanding your business, you’re probably looking at all your options for getting assistance. After all, it’s not a small task, and a growing business keeps you busy. Many of the human resources tasks you perform are time-intensive, such as hiring and payroll. If you’re expanding across borders, you may also be looking for help in complying with local labour laws around these activities. One type of assistance keeps cropping up in your searches. Many people suggest you work with an EOR. What does the acronym EOR stand for? The term stands for “employer of record.” This is a kind of business that partners with you to assist you with a variety of different tasks. They’re so named because they’re the employer on record for the employees you hire. What do EORs handle? There are a number of different tasks they will take care of for you, from payroll to benefits administration, to hiring and terminating employees. Essentially, the EOR you work with stands in as the employer of the workers you hire through them. They formally hire the employees, list themselves as the employer, and conduct payroll. They’re responsible for paying the employees, deducting the proper payroll taxes, remitting those taxes to the local tax authority, and more. You may work with them closely to establish hiring guidelines. You may even be involved in the hiring process, helping them interview candidates or reviewing a handful of resumes they’ve pre-screened for you. When it comes to payroll, you may set the wages employees should be paid. More often than not, you’ll remit to the EOR an hourly fee, from which they’ll pay your employees. In addition to payroll, the employer of record will handle benefits administration for your employees. Most often, this is through the EOR’s own benefits structure. An EOR works with many different companies, and they’ll thus have many employees. As a result, it’s often more economical for them to purchase benefits packages. They can then offer these benefits to your employees as well. An employer of record will also handle things like holiday pay and vacation pay. Another task the employer of record is responsible for is the maintenance of records. Record-keeping is often dictated by local laws, so it’s much easier for a business with good knowledge of local laws to handle record keeping. Another thing the employer of record is responsible for is your compliance. When you expand into a new area, you may not be familiar with the local laws. This can lead to mistakes in your payroll, your tax remittance, and even your hiring process. The EOR is much more familiar with the requirements set out in local legislation. They’ll assist you by monitoring compliance in their human resources activities. If a law changes, they’ll adjust their policies. You can be sure you’re on the right side of the law when you work with an EOR. An EOR isn’t necessarily responsible for giving you good advice, but they can often extend this service to you as well. If you’re looking at expanding into a new country such as Canada, consulting with them may be a good first step. The employer of record is often knowledgeable about many different aspects of operating a business as a foreign entity. They may be able to advise you on tax-efficient business structures or other aspects of your set-up. Do You Need an EOR? If you’re thinking about expanding your business into a new area, working with an employer of record could be a great step. They can help you in so many different ways, reducing your workload and helping you run a successful business wherever you choose to set up shop. Expanding a business internationally is no small feat. Once you’ve managed to grow the business to an appreciable size in your home market, you’ll likely begin to look for other ways to continue growing. An international expansion is likely one of the options you’ll consider. Growing across the border is often an excellent opportunity, but it also comes with its fair share of challenges. If you want to be successful, you’ll likely want to enlist the help of a number of professional partners, including a PEO. A professional employer organization, or PEO, is a full-service partner in your expansion. They offer you the infrastructure for banking and insurance, as well as access to services such as hiring and human resources, that you may have more difficulty accessing on your own. More than this, they’re ready to offer you the advice and expertise you need to grow across the border successfully. How exactly does a PEO help businesses grow across the border? You can count the ways. A professional employer organization acts as the legal employer for your employees. The PEO can get started hiring sooner, so you can hit the ground running. In practice, this means the PEO takes over hiring, training, and even terminating employees. Their expertise means you can be sure your human resources management is operating in compliance with local law. The PEO administers payroll and benefits as well, minimizing the tasks you need to add to your HR team’s plate. Another concern businesses have when they set up shop on the other side of the border is finances. How will you access banking services? In order to set up a bank account, you often have to be resident in the country and have a permanent address. As a foreign entity, your business may have difficulty accessing the financial resources it needs to get things underway. The PEO can help you here as well by offering your business access to the banking services they’re already using. You may be able to set up an account or transfer funds from your business to the PEO or vice-versa. You may also be able to access credit through the PEO, giving your business much-needed capital to keep operations rolling. The PEO may also be able to assist you in accessing the insurance infrastructure across the border. Insurance products are much like banking products and services, and foreign businesses may initially have difficulty accessing what they need. The PEO’s own insurance infrastructure resolves the issue for you, providing you with the coverage you need for your operations. The PEO can also make recommendations and help you find the right provider, often at a lower cost than you might pay on your own. Perhaps the most important thing a PEO can do for a business expanding across the border is to give expert advice. The PEO is more familiar with the laws and regulations in place across the border, so they’ll be able to offer insight and information you may not otherwise be aware of. This can help you make the right decisions for your business and cut through red tape more easily. The right advice is crucial when you’re making a big move like expanding a business across borders. Having a PEO on your side is a huge advantage. These are just a few of the different ways a PEO can help you as you continue to grow your business. If you’ve been thinking about crossing the border, get in touch with a PEO.